This camp is an “Original” Catholic HEART Workcamp. It is open to those entering the 8th grade in the fall of 2019 and older. 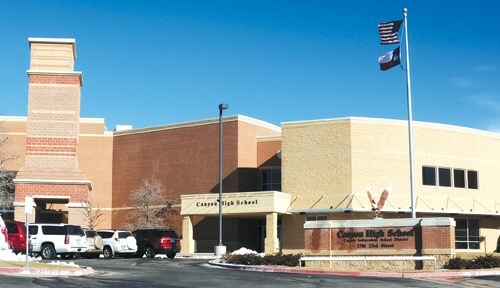 Canyon High School is a public high school with a student population of 2,500 (grades 9-12). 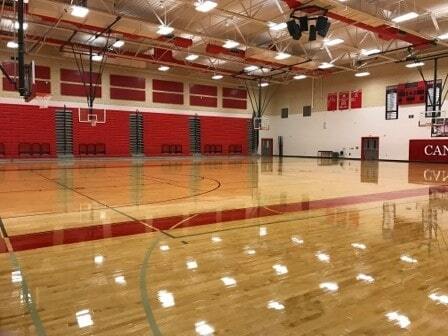 There is a large cafeteria, outdoor seating areas and two gymnasiums. Showers are on site. Men and women’s locker rooms have 16 showers each, and there is also a field house available for showers. Program area is an air-conditioned auditorium with theatre-style fixed seating. Campers will sleep in air-conditioned classrooms with separate wings for guys and girls. New Braunfels is the second fastest growing city in the United States with a population of 80,000. 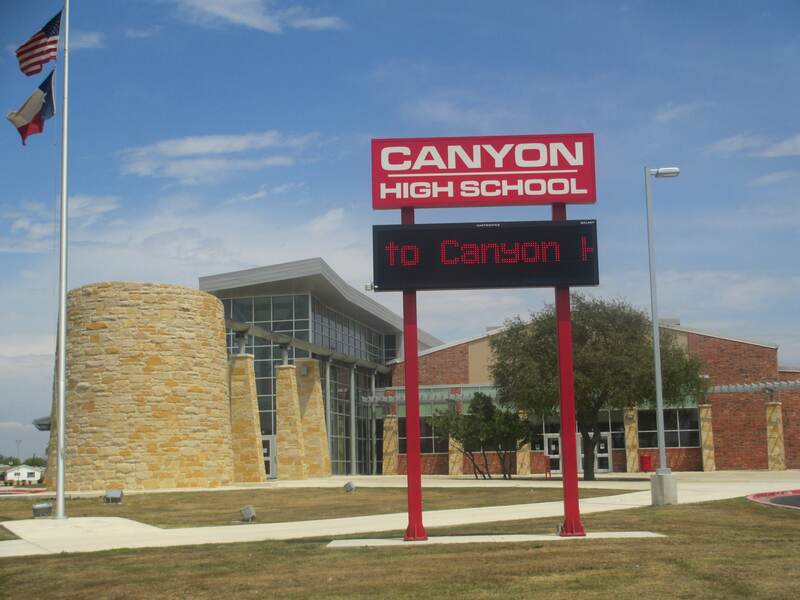 It is located just off of Interstate 35 between the cities of Austin and San Antonio. Considered one of the best vacation spots in Texas, New Braunfels is home to the world’s largest waterpark, Schlitterbahn. Thousands of people visit this city every year to enjoy tubing on the Comal and Guadalupe Rivers. While there are many affluent areas in New Braunfels, there are also very poor and disadvantaged areas. With a multi-cultural population, there will be many opportunities for campers to interact with people who may only speak Spanish. Work sites will include yard work, interior and exterior painting, light construction, and building wheel chair ramps for elderly and struggling families. We will also help out at a food bank, thrift store, and several other social agencies. Voted World’s Best Waterpark! Explore over 70 square miles of thrilling tube rides, body slides, wave pools, and much more. Contact customer service for group rates. The Comal River is the shortest river in the world and winds in and around Schlitterbahn and the city park. Landa Falls Tube Rentals has easy access and a shuttle to take you back to your starting point. Rockin R River Rides provides many options for tubing on the Guadalupe River. Headquartered in historic Gruene, TX, you can float the river for 2 hrs or 7 hrs. Shuttles are provided as part of the tube rental. Then explore the village of Gruene: shops, the oldest dance hall in Texas, and great restaurants. This 51 acre riverside park boasts a miniature train, nature trail, mini-golf, paddle boats, a spring-fed swimming pool, picnic tables and more. This 30 minute display is one of the largest and most spectacular in Texas. It begins at sundown (approximately 9:15 pm), and can be seen from many strategic areas in and around New Braunfels. The River Walk is a series of walkways one story under the city streets that line the banks of the San Antonio River. You can take a ride on a river boat and learn a little of the history of San Antonio, eat at one of the famous Mexican restaurants, or shop at River Center Mall. The famous Alamo is in the vicinity of the River Walk and across the street from the Mall. Group rates are available on their website.